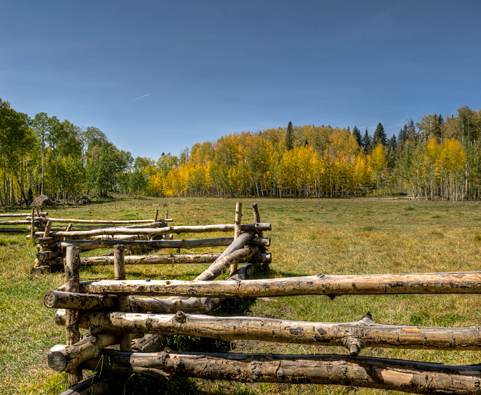 We took a jeep ride up to Owl Creek Pass and stopped in the aspen-lined field where they filmed the final shoot-out in the movie “True Grit”. Remember the scene where John Wayne leads the good guys with guns blazing toward the bad guys? 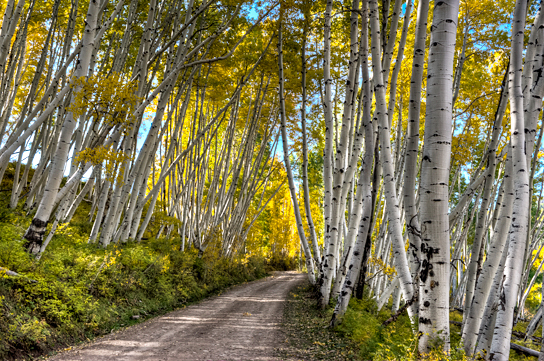 This is the place….not a movie set! 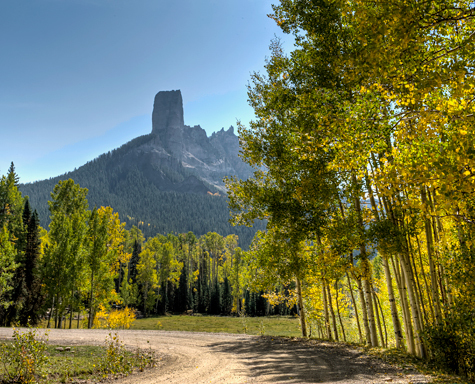 Chimney Rock as seen from the trail. It is always a pleasure to meet interesting people in our travels and Colorado never disappoints. I was bounding down a tiny trail with all my camera gear in tow to get a pic of the Cimmaron Mountains and ran head on into Greg and his team. 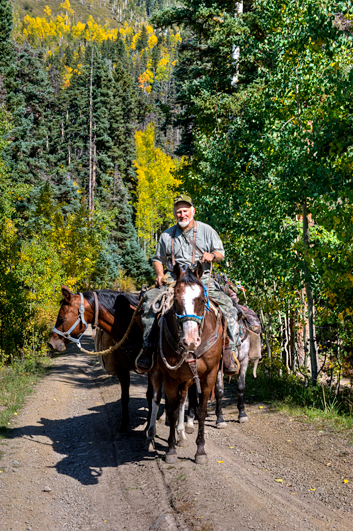 He is a bow elk hunter heading into the national forest with his two pack horses for the elk season. They had everything they would need for two weeks in the packs. I would love to hear how he makes out. I am certain it will be an adventure.